This state-of -the-art technology allows patients to see muscle function in real time. This not only allows practitioners to assess and measure patients function of ‘core’ muscles (lumbo-pelvic/hip stabilisers) but serves as a teaching and rehabilitation tool. The visual aid enhances the ability of patients to accurately turn on affected muscles, including the sequence of co-ordinated movements that need to be relearned for optimal outcomes. High frequency sound waves cause vibration and warmth within the healing tissue which helps to speed recovery. Recent research has proven the effectiveness of ultrasound in stimulating fracture repair when used in low-dose pulsed mode. 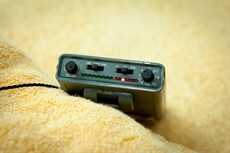 Interferential therapy uses medically-effective low frequency electrical impulses to stimulate the nervous system. This produces therapeutic twitching contractions in muscle tissue, stimulates blood flow, reduces swelling and can relieve pain and spasm. The nerves carrying pain messages are soothed, while the human body’s own pain relieving chemicals – endorphins, are released into the central nervous system. Electrical current applied to muscle improves its activation, especially when injury or surgery has caused inhibition due to pain, in turn enhancing muscle strengthening, blood flow and assists with reducing swelling. Electrical sensors detect muscle activity providing feedback to improve muscle control and contraction. Shortwaves penetrate into deep tissues to heat and improve blood flow, relax tension and spasm in muscles, reduce swelling and congestion and soothe pain. This is also known as Shockwave Therapy and represents a powerful alternative for the treatment of ‘therapy resistant tendinopathies’. It involves the application of a high energy acoustic wave to the painful location. Our work in helping you to strengthen core muscles is greatly enhanced by the use of real-time ultrasound to assess the function and activation of the pelvic floor and deep abdominal muscles. As the ultrasound scans the abdominal area, many clients are intrigued to see how their muscles move. They appreciate the practitioner monitoring their movements during intial exercises to ensure the correct muscles are engaged. This state-of -the-art technology allows patients to see their muscle function in real-time. This not only allows practitioners to assess and measure patients’ function of ‘core’ muscles (lumbo-pelvic/hip stabilisers) but serves as a teaching and rehabilitation tool. This visual aid enhances the effectiveness of Pilates exercises.